Jimmy Jangles presents: The Optimus Prime Experiment: Julie Feeney concert set list Crawdaddy, Somewhere in Ireland. 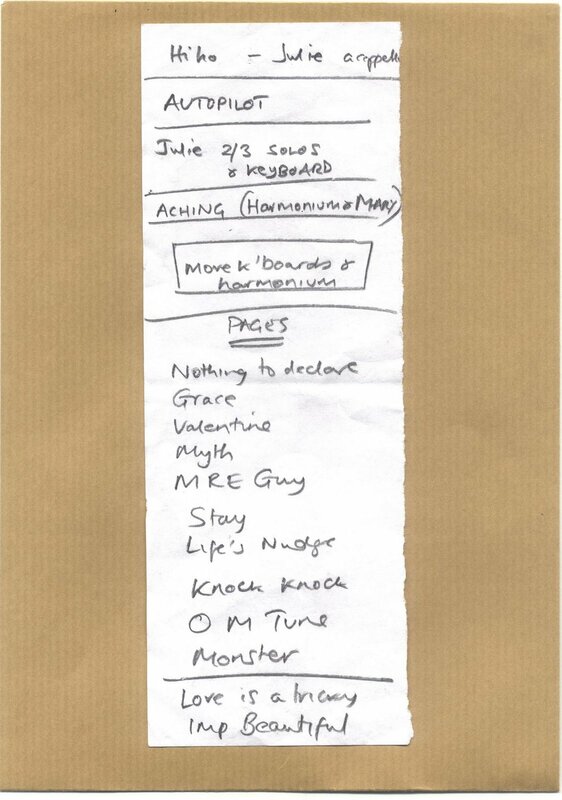 Julie Feeney concert set list Crawdaddy, Somewhere in Ireland. Granbanjo has a crush on this chantueuse and asked me to spread the good word on her so here's Julie Feeney's set list from somewhere in Ireland on Thursday.